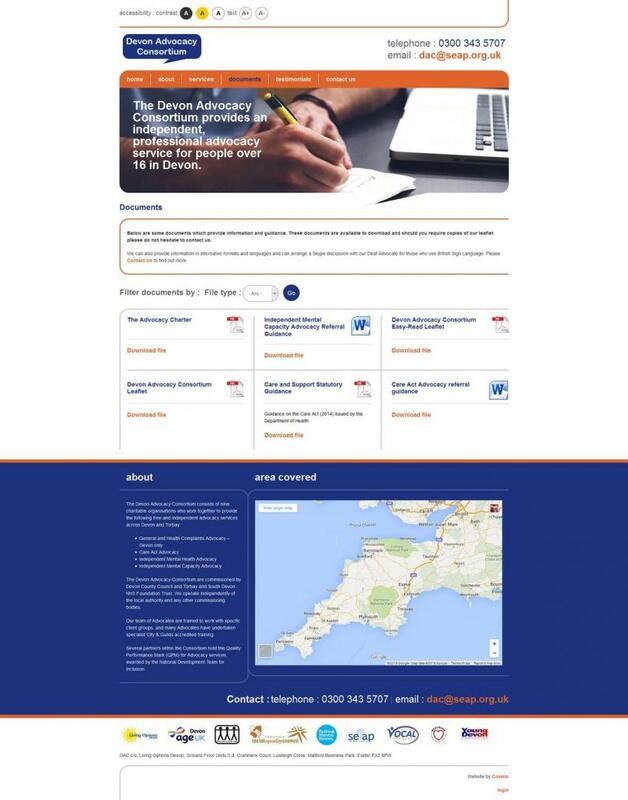 Cosmic designed and developed a brand new website for Devon Advocacy Consortium. 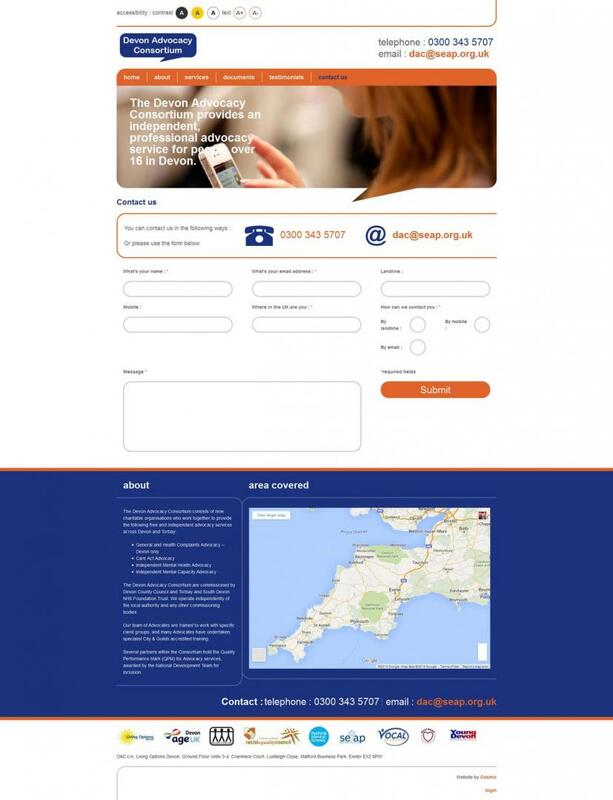 The website is responsive to mobiles and tablets, and also has accessibility options for users with visual impairments. 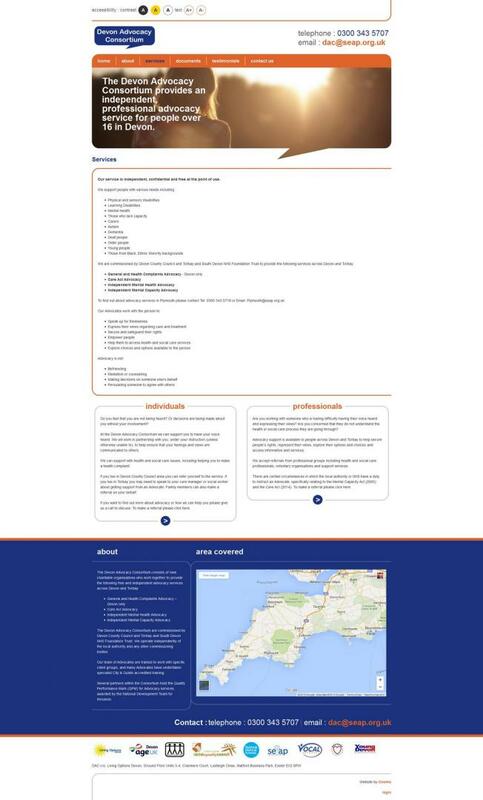 The website has a documents database, as well as testimonials and contact information. 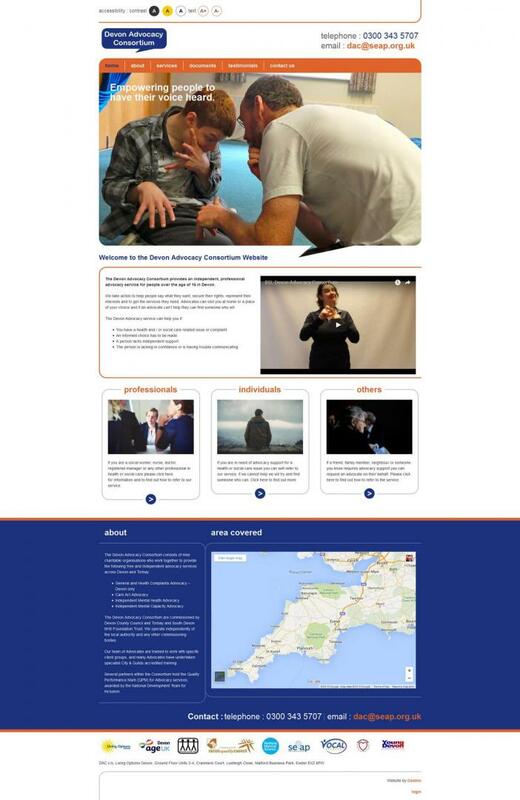 Who are Devon Advocacy Consortium? 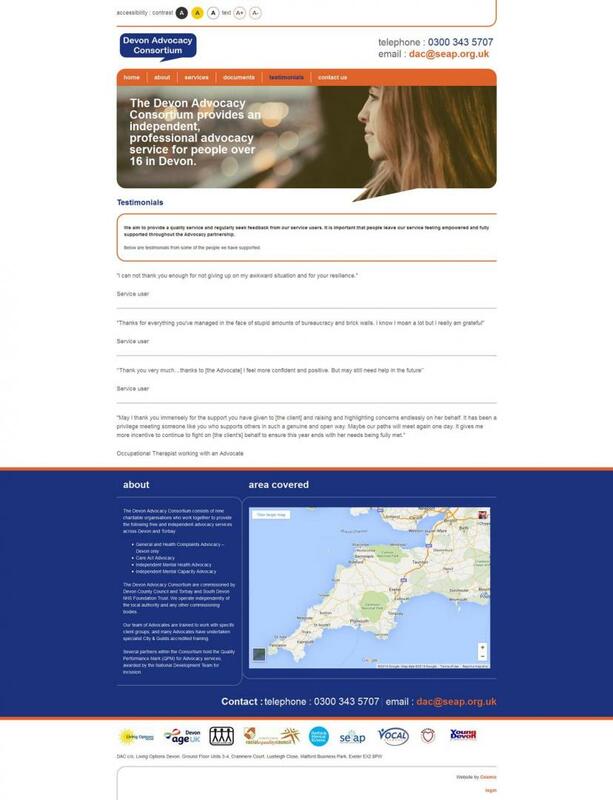 The Devon Advocacy Consortium provides an independent, professional advocacy service for people over the age of 16 in Devon. We take action to help people say what they want, secure their rights, represent their interests and to get the services they need. Advocates can visit you at home or a place of your choice and if an advocate can’t help they can find someone who will.